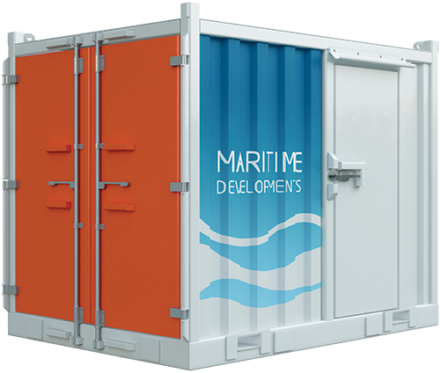 Maritime Developments offers a range of ancillary equipment to support key operations. Please contact us to find out more about our equipment and services. The SCV-100 control van is a fabricated steel marine van that is suitable for reel drive systems, tensioners and vertical lay systems. The control van is design approved to DNV 2.7.1. The standard unit is supplied with viewing windows fitted with anti-glare solar screens, a single lockable personnel door and emergency hatch, operator chair, storage for manuals, electric distribution with light & power socket, insulated walls and an air conditioning unit (reversible). The unit has forklift pockets and dedicated lifting eyes with rigging. Other options include operator console. 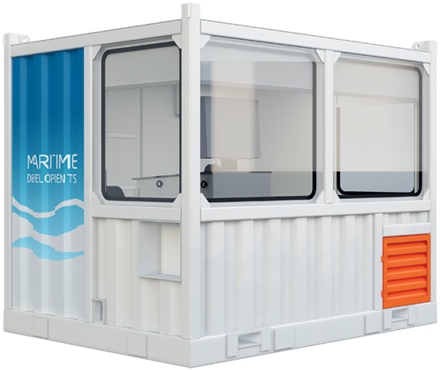 The SSC-100 is a fabricated steel marine unit that can be used for storing spare components for reel drive systems, tensioners, winches or vertical lay systems. The unit has a single personnel door entry as well as a double end door for loading and unloading larger components. 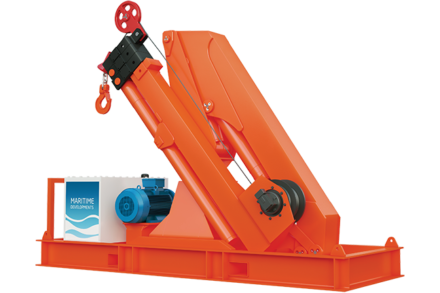 For lifting and moving the spares container, it has forklift handling pockets as well as lifting eyes fitted with lifting rigging. The unit is design approved to DNV 2.7.1. The 17Tem electro-hydraulic deck crane is a compact solution for smaller crane requirements during back deck operations. The unit is lifted on-board the vessel in one lift and connecting the power cable to suitable breaker completes the vessel interface (excluding seafastening requirements). The small 30kW electro-hydraulic powerpacks are suitable for operating smaller pieces of hydraulic equipment such as winches, moon pool doors, hang of clamps and retractable chutes. The small winch unit has hydraulic drives and can be supplied with a small 30kW electro-hydraulic powerpack.